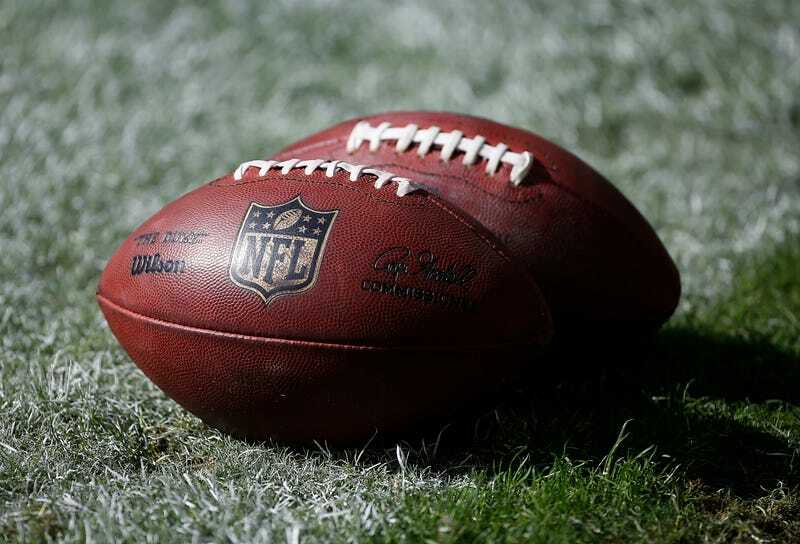 The investigation into how numerous footballs used by the Patriots became deflated during the AFC Championship Game has focused on the Patriots-employed ball boy that took the balls from the referees locker room to the field. In-between he stopped off in what was at first ominously reported as "another room" by Jay Glazer, but then clarified by Mike Florio to be a small bathroom, where this unnamed ball boy spent "about" 90 seconds. Prior to the game, a game-day worker employed by the Patriots, a man described as elderly, took two bags of 12 footballs (one bag from each team) into the restroom near the referees' room in Gillette Stadium. The man was in the room for 98 seconds. When he exited the room, he took the balls to the field. There is video of the man entering and exiting the bathroom, but it's unclear if there is a clear shot inside the restroom. When I pooh-poohed the idea that the ball boy could have gone into the bathroom, deflated 11 footballs, and exited in about 90 seconds, I got a bunch of truthering in the comments, like this mechanical engineer who thinks he has the perfect crime all figured out. Well now proponents of the ball boy theory have an extra eight seconds for him to deflate the balls in, but have to contend with the fact that his speed was likely slowed down on account of being elderly. Elderly, of course, doesn't have a precise definition, but it seems that the most commonly used one is somebody over the age of 65. Now, some 65-year-olds are quite spry—and maybe Rapoport's source is a terrible judge of age and the "elderly" ball boy is actually 50—but it does make the "highly-trained and speedy ball boy removed the air" theory seem more unlikely. To further this confusion, Mike Florio writes that, when delivering his report on on-air, Rapoport said "a couple, three or four were about a pound under and three or four more were right at the line but a little bit under," which is slightly different than his written story and uses a lot of weasel words like "a couple," "three or four," and "a little bit under" that lack precision. Whatever his report, according to Florio, Rapoport is wrong: "As one league source with knowledge of the situation told PFT in response to the NFL Media report, 'Ian's wrong.'" In summary: we still don't know anything except that an old guy probably had to take a piss on the job, some footballs were deflated by significant or maybe insignificant amounts, and it doesn't really matter because the Patriots will be playing in the Super Bowl in half an hour.